Home » Travel Blog » Why should you go to the Cook Islands? Recently I had the pleasure of spending a week in The Cook Islands. Once I was home and boasting about the amazing time I had, many people asked – “Where’s that?” or “Why The Cooks”? So, I thought it would be appropriate to tell you all a little more about this wonderful group of islands in the South Pacific. There are direct flights once a week from Los Angeles. Flights depart on a Sunday evening and you arrive on the island of Rarotonga on a Monday morning. The beauty of this is that you can sleep on the plane and when you wake up you are already there. The same applies on you’re way home. Flights depart on a Saturday evening and you arrive in Los Angeles on Sunday. This allows you 5 nights in The Cook Islands. Too long or too short a trip? New Zealand is only 4 hours South and is the perfect add on! The first thing you will notice is the most amazing turquoise blue waters. The beautiful shades of blue and aqua marine change with the sunlight and depth of water. The main island Rarotonga is surrounded by a lagoon, so it’s safe to swim. No sharks! 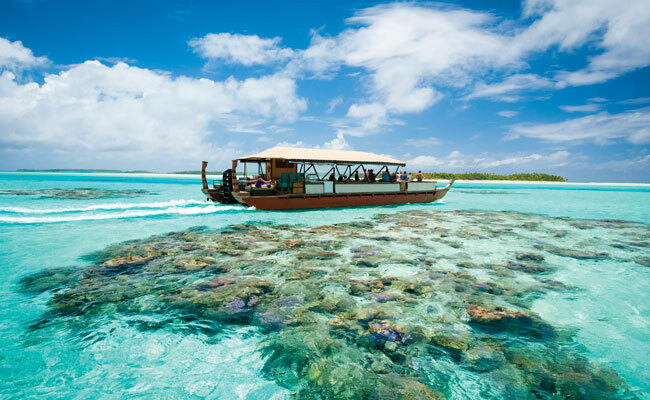 The Cook Islands are off the beaten track! 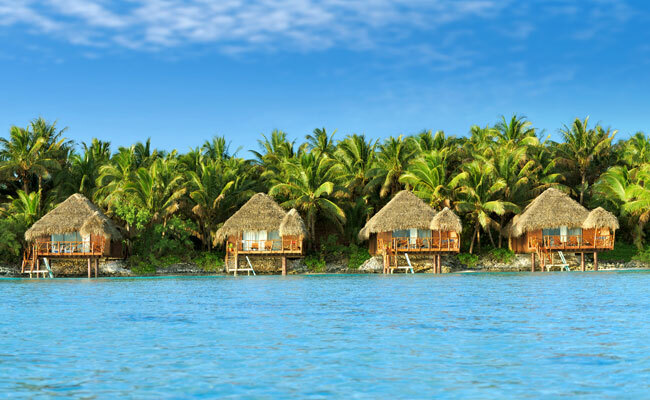 Less developed than Fiji or Tahiti, you can expect a very relaxed atmosphere. Most of the resorts are fairly small and range from 3 star to 5 star. The local people are extremely friendly, warm and welcoming. English is widely spoken and the currency is the New Zealand Dollar. 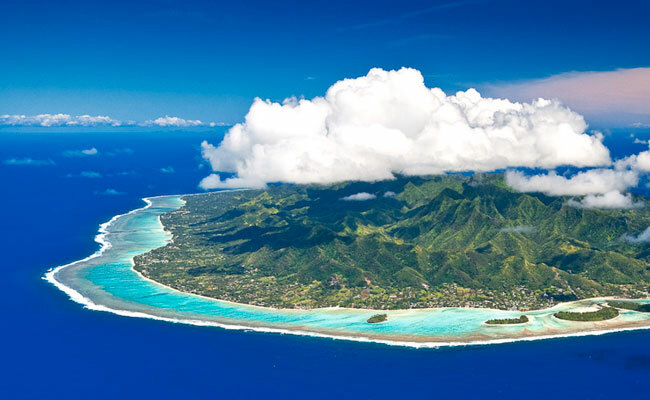 Rarotonga is only 32kms in circumference. In fact they only have one road that goes around the island and the local bus is simply “clockwise” & “anti-clockwise”. You can rent a car or a scooter and explore the island at your own pace. The Cook Islands are perfect for people who just want to relax on the beach or by their own private plunge pool. However, there are plenty of active and adventurous things to do as well. Activities range from hiking, ATV and four-wheeled safaris to snorkelling, diving and crab racing. Don’t miss one of the Island Nights where you can experience the most amazing drumming and dancing. The food is delicious with a wide range of local ingredients and produce from their neighbours in New Zealand. • The Cook Islands are made up of 15 coral atolls and volcanic islands, but the most popular for visitors are Rarotonga and Aitutaki. Ready to plan your own adventure to the Cook Islands? Browse our custom Cook Islands vacation packages or give me us call at 888-367-0933 and we would love to help you plan the trip of a lifetime!